A couple of new restaurants are scheduled to open at the newly refurbished Fashion Place Mall, in addition to Utah’s first Crate & Barrel store. Red Rock Brewing Company will open Red Rock Place, offering Red Rock’s award-winning brews, a full liquor and wine selection, and a wide-ranging menu of pub fare. “Fashion Place is the perfect fit for what will be our largest Red Rock yet,” said Red Rock marketing manager Mike Brown. “We are excited to bring the Red Rock experience to such a great community.” Red Rock Place is set to open on April 1. Along with Red Rock Place, BRIO Tuscan Grille is also opening near Nordstrom. It’s a white-tablecloth restaurant serving northern Italian cuisine with a menu that features wood-grilled and oven-roasted steaks, chops and seafood, along with made-from-scratch pastas and flatbreads. BRIO will serve lunch and dinner and offer a full wine list and is scheduled to open in November. I’m happy to report the Johnniebeefs has found a new home, inside the Texaco Station’s In & Out Market at 7360 S. Union Park Ave. in Midvale. Johnniebeefs features authentic Chicago-style hot dogs as well as Italian beef, shakes and sausages. Meanwhile, Mama’s Plantation Restaurant has moved into the space previously occupied by Johnniebeefs, at 7194 S. Union Park Ave., near Wal-Mart. It’s a good place for fried chicken and catfish, collard greens and more. Apparently the Irish thing didn’t really stick in South Jordan, where the MacCool’s Public House there recently closed. 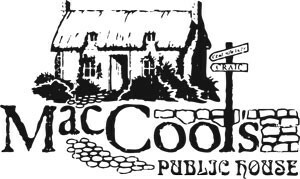 That’s good news, however, for Ogdenites, as the MacCool’s owners have requested the DABC to transfer their liquor license to the location of a new MacCool’s planned to open at 2510 Washington Blvd. in Ogden. In the meantime, you can visit MacCool’s at 1400 S. Foothill Blvd. in Salt Lake City or in Layton at 855 W. Heritage Park Blvd. Quote of the week: Genuine polemics approach a book as lovingly as a cannibal spices a baby.